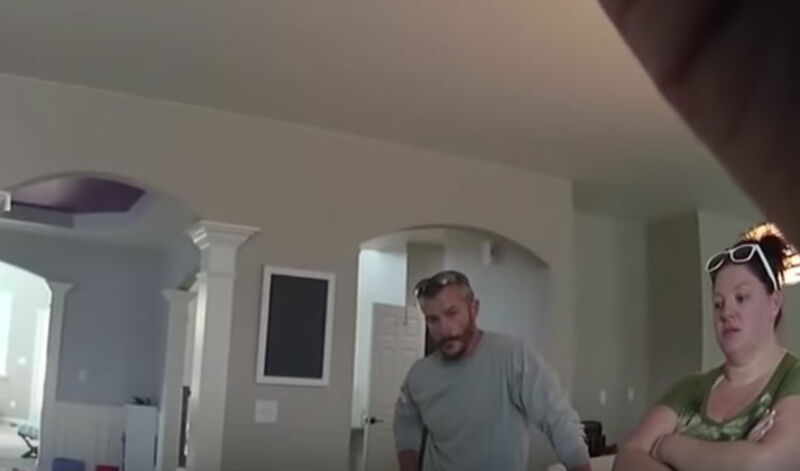 The Weld County District Attorney’s office has released bodycam video of Chris Watts meeting police at his home on the August day that his wife Shannan Watts and daughters Bella, 4, and Celeste, 3, went missing. 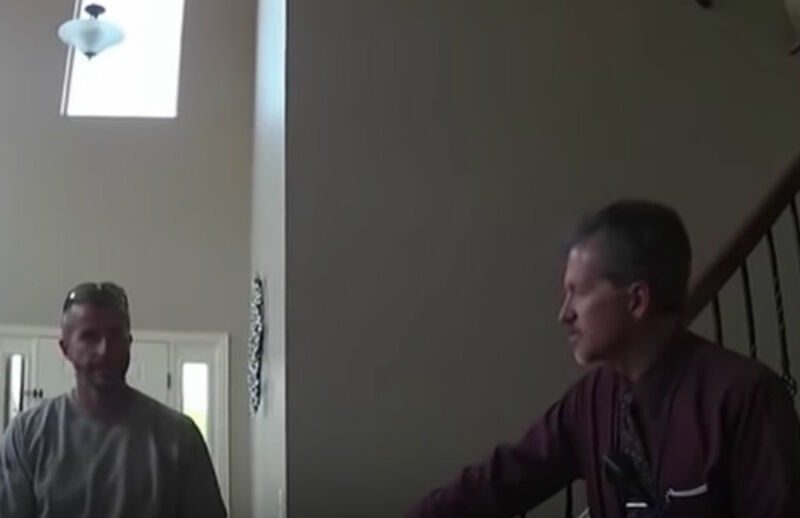 The video obtained by the Daily Mail shows Chris Watts interacting with police officers in his Frederick, Colorado, home as Shanann’s friend Nicole Atkinson, who reportedly called police to the home, looks on. Watts and Atkinson largely avoid direct eye contact but are seen watching the other as the officers work to gather information about the disappearance. Watts is emotional but fidgety as officers question him about the state of the home and his family’s whereabouts. At one point an officer asks Watts about some items by the stairwell in the home and Watts comments about some clothes he was intending to bring to his office at Anadarko Petroleum to give to co-workers. “That’s the stuff I was going to give people because they don’t fit me anymore,” Watts tells a police officer. “These are your jeans?,” the officer asks. “Yeah, those are 38’s. Way too big for me now,” Watts says. Watts is believed to have lost weight and gotten into peak physical shape in the months leading up to the murders, as he was using the Thrive nutrition and weight loss program that Shanann Watts was selling through a Multi-level Marketing business. As CrimeOnline previously reported, Watts had become involved in an extramarital affair with a woman he met at work in the late spring, and had told his wife he wanted an separation while denying he was involved with someone else. Watts pleaded guilty to the murders last month and was sentenced to three life prison terms without the possibility of parole.